But y’all know by now that soccer isn’t likely to replace my favorite sport: track and field. My husband and I journeyed to Sacramento this past weekend to see the US Track and Field National Championships. This is considered an off year because there are no Olympics or World Championships later in the season. It’s the only year in a four-year cycle that this happens. Nonetheless, we enjoyed attending this championship meet. 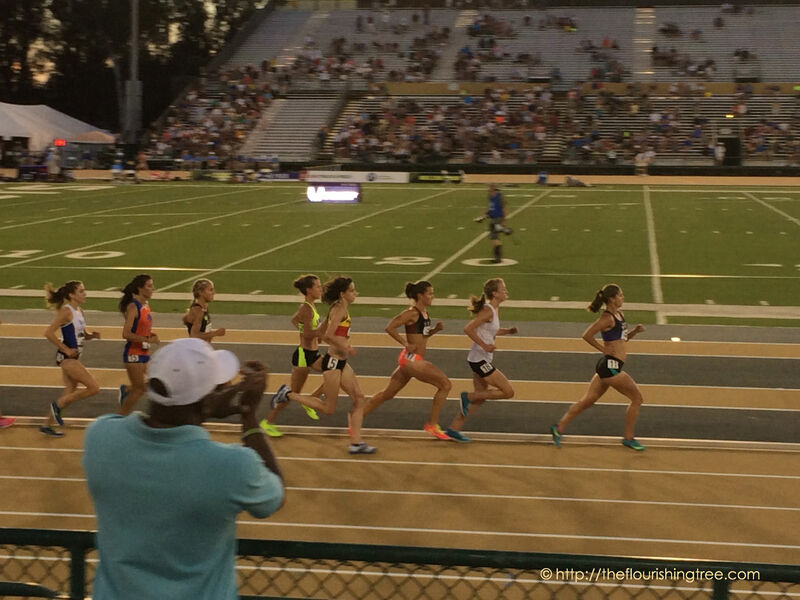 The women’s 10,000 meter race. Kim Conley (in the coral shorts, hip 17) won the race. The men’s 5,000 meters. Bernard Lagat (hip 8, 4th from right) went on to win the race. Some of the races are harder to cheer for than others. I mean, how do you cheer for one runner when there are three or four you’d love to see win? The men’s 5,000 was like that for me Friday night. If we had stayed for the men’s 1500, that race would have been even harder for me to pick who to cheer for. We didn’t get to stay for the whole meet, and the men’s 1500 meter final was to be contested while we were on a plane home. As we rode the elevator to the lobby to check out, we stopped to pick up two more passengers: 1500 meter star Lopez Lomong and one of his brothers (I think it was his brother). You may remember from a previous post that I’m a big fan of his, not just because of his amazing running but because of his amazing life and message of hope. This is a typical rundown of what happens in my head when I get star-struck. I don’t always overcome my shyness, but I did manage a smile and then an infusion of bravery that allowed me to ask, “Are you going to win today?” Lomong flashed a smile and then said, “I hope I win.” My husband told him we had been at the meet but had to head home. We wished him a great run. He wished us easy flying. And then the elevator reached the lobby. We caught our plane home. Lomong took third in the 1500. Lewis quite easily could have added sports teams and competitors to his list of things we love about home. I don’t know what it is about sports and patriotism, but, with a few exceptions, I find that I cheer most readily for a US competitor or US team. Elite US runners will compete in a few more international track meets this summer, and I’ll cheer for them. I hope Lomong and other favorites will be among the winners. As for the World Cup, well, I’ll be cheering for Costa Rica and France, for the love of friends (and avid football fans) who hail from those countries. Speaking of Lewis’ love of home and place, there’s a contest for best National Park happening now. Glacier National Park is currently leading over Acadia. As with the men’s 1500 race, I have a hard time picking which competitor to root for. But that hasn’t stopped me from voting for the same park two days in a row now. Maybe I’ll vote differently tomorrow. You can cast a vote every day through July 14. So in honor of all that is lovely and patriotic in our country, I encourage you to vote early and often. I’d love to hear what (and where) stirs your patriotism the most. Happy 4th of July! 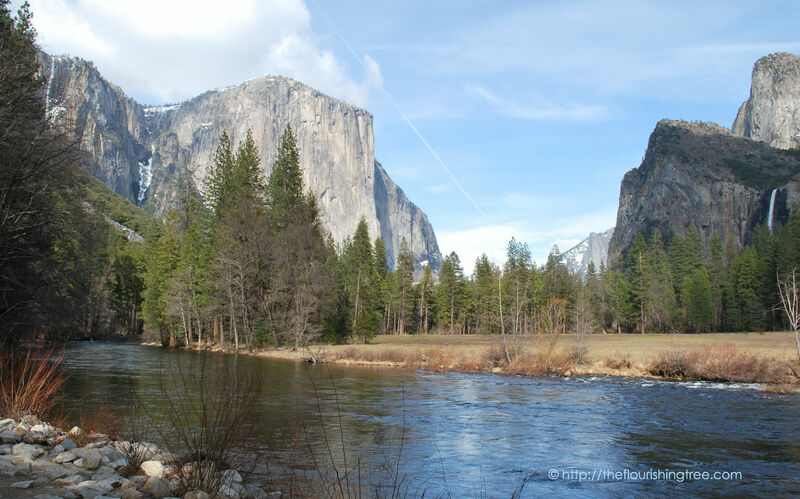 This entry was posted in flourishing tree, runners' devotion and tagged 4th of July, championships, CS Lewis, Lopez Lomong, Men in Blazers, national parks, patriotism, running, track and field, USA vs. Belgium, World Cup, Yosemite by hopesquires. Bookmark the permalink. kFlags flying, family, hot dogs, a concert of American marches, people ooohing and ahhhing over glorious fireworks… those are some my favorite things about July 4th! !